A while ago I had a friend who I thought was quite irresponsible with their pets. In the little over two years that I knew them, they had adopted and given away three animals. As sad as this person said they were to have to surrender them, I couldn’t help but feel bad for the animals being adopted and then re-sheltered or rehomed only months later. I understand that sometimes it just doesn’t work out with an animal, but I think there’s something to be said about people who bring animals into their lives without thinking about the consequences or doing research first. 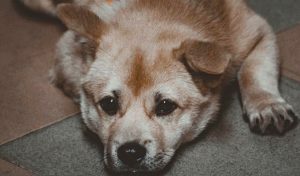 Many people dive right into pet ownership without thinking it over thoroughly beforehand, and as a result the animal ends up paying for the owner’s mistake. When they decide they can’t take care of their pet or the experience is not what they thought it would be, they might abandon it, return it to the shelter, neglect it, give it away, or even abandon it. All because they decided to buy a pet impulsively. In an interview with The Globe and Mail about the dog dumping problem in Canada, Dr. Jonas Watson, a veterinarian from Winnipeg, said that these issues happen because people do not understand or prepare themselves for the responsibility of caring for an animal. “Some people make impulse decisions about pet ownership, failing to realize that a pet is a lifetime commitment, through sickness and health, and a responsibility that demands years of time, energy, and resources,” he said. People need to do research about the animals they are bringing home. I understand having a pet is a lot of responsibility to take on, and sometimes it’s not what you expect. However, they are living, breathing creatures, and they should not have to suffer simply because the owner didn’t do their research or think about whether they had the time, money, and patience to take on the responsibility of owning a pet. Whether you’re getting a cat, dog, hamster, rabbit, or even a fish, it’s your responsibility to learn about your new pet’s behaviours and how to take care of it properly because that animal is relying on you to care for it. It is not a responsibility that should be taken lightly. It’s also important to research your animal before you commit to ownership because you don’t want to put the pet through the stress of moving or being put in a shelter if it doesn’t work out. Animals are sensitive and they probably experience distress from being separated from the people they were once attached to. Also, shelters are unfamiliar, loud, and scary places for any animal. A 2014 report by the Canadian Federation of Humane Societies noted that “animals in shelters often become ill due to stress and crowded conditions.” Surrendering an animal to a shelter can also be an emotionally tolling experience for you, so save yourself and the animal the heartbreak by doing your research and making sure you are ready before getting a pet. In addition, you should look into where you might adopt or buy an animal. Getting a pet from a breeder, a store, or an animal shelter can lead to pets having different temperaments and behaviours, so make sure you know what you’re really signing up for. Owning a pet should not be a decision made impulsively. If you don’t do your research or think critically about whether you have enough time, patience, and money to take on the responsibility that comes with having one, you may only be setting yourself and your pet up for disappointment.